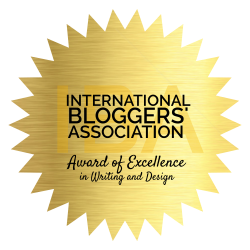 When I joined the blogging community, I was very fond of seeing other blogs being recognized. 1. The nominated blog must be a member of Pinay Mommies Netring (you can join the Pinay Mommies Netring badge at Pinay Mommy Online). 2. A Filipina Mother based in the Philippines or from other countries should own the nominated blog. 3. The nominated blog shall be a personalized mommy blog meaning the blogger talks about her personal life and opinions on this blog (monetized or not is allowed). Must contain pictures of herself and her family members. Blog Owners Email: (to notify her that her blog is nominated & has been approved and/or she is required to become a Pinay Mommies Netring Member). 5. Nomination of blogs for the first bi-monthly awardee will start on February 16 – 22 and the voting will start from February 23 – 29. The winner will be officially declared on March 1, 2008. 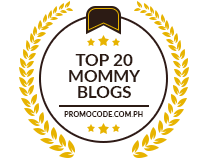 The award the blog owner shall receive will be Best Pinay Mommy Blog Award Finalist # 1, so on and so forth. 6. Criteria for judging are as follows: 80% number of votes and 20% quality of blog content (with at least with 10 posts and at least 30 days old from the date of the first post). Pinay Mommy and the Awards Committee shall judge the 20%. 7. The voting arena will be here. One vote per day is allowed. 8. The finalists will receive her “Best Pinay Mommy Blog Award Finalist #” Badge (courtesy of the graphical artistry of Posh Guru) where she can show her accomplishment and solicit more support from friends for the final competition plus 3000 traffic hits (courtesy of Pinay Mommy Online thru CommercialEarnings.com) directed to her blog. Aside from this, her blog will also be featured at Pinay Mommy Online and will receive a 1-month “STICKY POST” Advertising of her online business (or non-business related) blog of her choice at Pinay Mommies Community Forum.